Social work professionals are able to improve the quality of life for the vulnerable populations. Those who graduate with a degree in social work can find jobs with a wide range of human service agencies identifying individuals, families, and groups in need to determine appropriate intervention actions and provide support services. Social workers practice in hospitals, schools, nursing homes, and government agencies. Some work with specific populations such as pediatrics, families, or geriatrics. They might also specialize in a specific at-risk group such as abused children, drug or alcohol addicted individuals, or pregnant teens. There is a substantial need for qualified, educated social workers across the country. To pursue a career in social work, education is essential, and earning potential increases with advanced studies, as professionals with advanced degrees receive much higher salaries than those with an associate or bachelor's degree. However, individuals pursuing additional educational accomplishments while working may face significant challenges and difficulties. Online degree options provide students with the flexibility necessary to allow them to successfully complete their educational goals, even with other obligations like work or family. 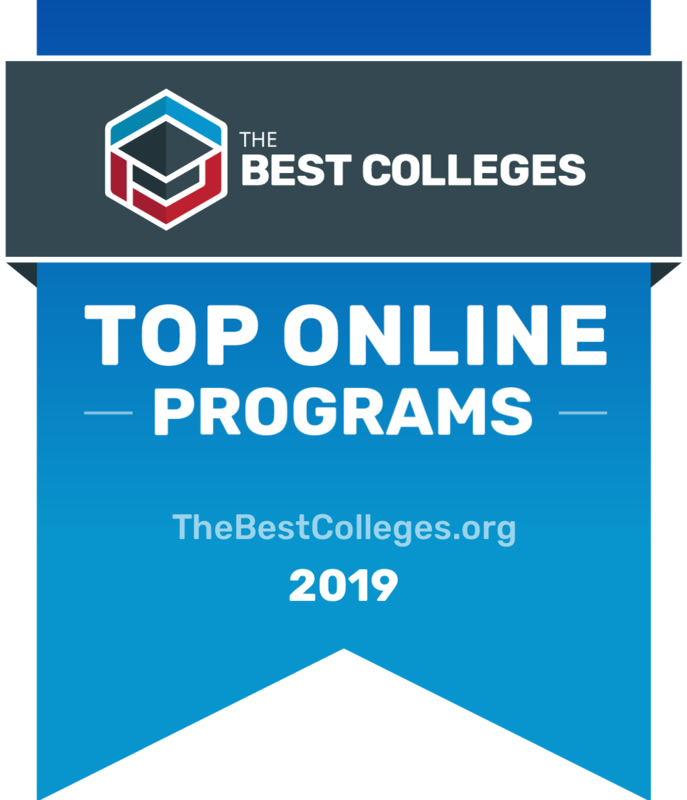 Below is a list of the top-ranked online programs for 2019. These programs offer the highest quality educational at a range of degree levels, from undergraduate to graduate and postgraduate certificate programs. Each one is uniquely designed to increase students' skills and knowledge while providing the education necessary to advance their careers and increase their salary. How to Get a Degree in Social Work Online? University of Southern California first opened its doors in 1880 in the heart of the frontier town of Los Angeles. In 1920, USC established their School of Social Work, making it one of the first schools of its kind in the nation. The faculty here consists of well-respected scholars and researchers who focus on real-world social issues. Through education, research, and professional leadership, the School of Social Work strives to achieve its mission of producing graduates who are fully prepared to work with and improve the lives of individuals and communities. The USC School of Social Work became one of the first research universities to offer a Master of Social Work entirely online, the MSW@USC. Through this program, students are able to gain a high-quality education from a respected university without ever having to visit the physical campus. The flexibility and convenience of online learning allows students to log on from anywhere they can connect to the internet. The program features live online classes and ways to interact with instructors and fellow students through online study groups and chat sessions. Plus, students have the opportunity to gain hands-on real world training in their local communities. The curriculum in the online MSW@USC program mirrors that of the traditional on-campus program. Foundational courses focus on areas including human behavior, the social environment, social work practice, social work organizations, and social work research. Students can choose from concentrations in mental health, community organization, planning and administration, military social work, or families and children. The MSW@USC is accredited by the Council on Social Work Education (CSWE) and the Western Association of Colleges and Schools (WASC). Capella University is a well-regarded institution of higher learning which focuses on providing online degree programs tailored to meet the needs of working adults. Here, these students are provided with respected, challenging online degree programs in a range of disciplines which facilitate career advancement, career changes, and entry level career opportunities. Students enrolled at Capella University have the opportunity to pursue degree programs in business management, higher education, information technology, public safety, and health care. Capella University’s extensive resources and support services provide students with the added assistance necessary to ensure their educational and career success. Faculty members forge personal relationships with their students which further enhances the experience at Capella University. The school is accredited by the Higher Learning Commission and a member of the North Central Association of Colleges and schools. The School of Public Service Leadership at Capella University provides a range of graduate degree programs relevant to social work. Programs offered in the field of social work or related areas include social work, counseling, emergency management, school counseling, and psychology, as well as a Ph.D. in human services. The 48-credit master’s degree program in the social and community services specialization requires students to complete courses such as philosophy of social work, history of social welfare, scope of human services, utilization of community resources, ethnic and cultural awareness, and survey of research in human development and behavior. The Master of Social and Behavioral Sciences focuses on public health issues and their administrative systems. Students study the areas of social and behavioral theories, program planning and evaluation, international public health, and public health information for diverse populations. The 60-credit program requires students to complete courses such as psychological, behavioral, and social issues in public health, principles of epidemiology, environmental health concepts in public health, and theories of social and behavioral sciences. As the nation’s oldest school of social work, Simmons School of Social Work (SSSW) has been training clinical social workers to improve the wellbeing of individuals and communities for more than 100 years. Co-founded with Harvard University in Boston in 1904, SSSW is dedicated to promoting social action and rooted in the belief that all individuals have the capacity and deserve the resources to grow, change, and improve their lives. Today, SSSW is expanding its reach to students and aspiring clinical social workers across the country through SocialWork@Simmons. SocialWork@Simmons is the school’s nationally recognized Master of Social Work (M.S.W. ), delivered online. Combining live and online classes with self-paced coursework and field experiences in or near students’ own communities, SocialWork@Simmons prepares clinical social workers for direct clinical practice in a wide range of school, agency, clinical, and other settings. Featuring the same rigorous M.S.W. curriculum as Simmons’ on-campus program, this innovative online M.S.W. offers live, weekly online classes taught by renowned SSSW faculty, each limited to 15 students to ensure an effective classroom experience. Coursework includes a clinical practice focus on social welfare policies, human behavior, assessment and diagnosis, multicultural perspectives, and racial and social justice. Hands-on experience through internships is arranged in or near students’ own communities by our field placement team. Walden University is a student-centered institution dedicated to the success of working students. Since its founding in 1970, Walden has evolved into a highly regarded university, offering a range of undergraduate and graduate degrees and certificate programs tailored to meet the scheduling needs of its working students, while providing a challenging and industry-current curriculum. These programs are intended to provide students with the tools needed to advance their careers, and produce positive social change through the application of research and the discovery of new knowledge. Walden University programs are enhanced through the shared insights of instructors and peers who are experienced in the professional setting. The school provides a supportive environment with the latest technology in online learning and various educational services in research and writing. Students are offered a range of career assistance and advising, as well as lifelong learning opportunities to ensure they remain informed of the latest advancements in their fields of study. Students enrolled at Walden University have the opportunity to pursue a range of degree options with relevance to the field of social work. Walden University offers a 63-credit Master of Science in Psychology with a specialization in social psychology. The program provides a comprehensive understanding of the various social, environmental, and situational factors which impact the development of social and behavioral interaction in humans. Curriculum includes the analysis and evaluation of psychological theories, research, social and cultural factors, psychological concepts, and principles of contemporary and global issues influencing social change. Walden University also offers a 132-credit doctoral program in clinical social work which focuses on the models and theories of clinical practice for vulnerable and disadvantaged populations. The program requires students to complete 42 credits in core knowledge areas, 42 credits in specialized knowledge areas, 12 credits in research, and a 30 credit dissertation sequence. The program is intended for students with a solid foundation in qualitative and quantitative methods of study and inquiry. Case Western Reserve University, a private university in Cleveland, Ohio, was founded in 1826. In U.S. News & World Report's 2015 rankings, Case Western Reserve's undergraduate program ranked 37th among national universities. Known for it's world class research, students have plenty of opportunities to get involved outside the classroom. The 100% convenient online format of our Master of Science in Social Administration (MSSA, equivalent to an MSW) makes it possible for you to earn your degree from a top-10 social work school while simultaneously balancing career and family obligations. Accessible and CSWE-accredited, the Online MSSA has the same academic standards and distinguished faculty as our prestigious on-campus MSSA program in Cleveland. Our social work master’s degree program is designed to be comprehensive, interdisciplinary, and academically rigorous – combining practice, policy, advocacy, research, theory, and experiential learning. We believe – and our 7,800 alumni confirm – that an MSSA translates into social workers who have received top-ranked academic training, who are better prepared for leadership, and who have more options in their future careers. Located on a beautiful campus in Washington, D.C., The Catholic University of America (CUA) is the national university of the Catholic Church, the only higher education institution founded under this doctrine. Established in 1887 as a center for graduate study, CUA has evolved into a modern American university, committed not only to graduate degrees, but also to undergraduate and professional education. The university is dedicated to advancing the dialogue between faith and reason, seeking to discover, preserve, and impart truth through excellence in teaching and research, all in service to the Church, the nation, and the world. The Catholic University has more than 40 research centers, institutes, and interdisciplinary collaborative arrangements currently in place and is home to approximately 7,000 students from 50 states and 85 countries. The online Master of Social Work (MSW) from CUA’s National Catholic School of Social Service (NCSSS) helps students gain the knowledge and skills needed to leave a legacy, and prepares them to obtain licensure in clinical social work practice. This values-based degree uses a comprehensive, demanding curriculum that utilizes theory in all written assignments and readies students for real-world application after graduation. Although an undergraduate degree in social work is not required to apply, a true desire to serve all people is necessary when considering the MSW program. This clinical MSW concentration prepares students for a wide range of professional roles including mental health counseling/therapy, clinical work with at-risk families, clinical case management with homeless individuals, trauma treatment, school social work, play therapy with children, and community-based work with the elderly. Our Lady of the Lake University (OLLU) is a private, Catholic university with a deep connection to the history and community of San Antonio, TX. Founded in 1895 by the Congregation of Divine Providence, OLLU has developed a reputation for its individual teaching style. Since 2011, OLLU has been named to the President’s Higher Education Community Service Honor Roll. The University’s online degree programs prepare professionals to provide leadership and make scholarly contributions to the advancement of knowledge in their fields, and apply the most current information and technology to decision making and problem solving. Students are also taught to work collaboratively, productively, and ethically in culturally diverse settings, and contribute to the mission of the university by serving the needs of their communities. OLLU’s Worden School of Social Service, one of the nation’s oldest and most prestigious schools of social work, now offers its acclaimed Master of Social Work entirely online, giving working adults the opportunity to pursue this career-building, service-oriented credential no matter where they reside. The online MSW from OLLU is one of only three social work master’s degree programs in the US that emphasizes service to Hispanic children and families, the fastest-growing demographic community in the nation. With a focus on social work throughout the lifespan, the program prepares students for social services leadership and advanced direct practice in a variety of settings and for a variety of clients, from young children to elderly adults—already the single largest group of social service recipients, and growing fast. Grand Canyon University is a private Christian college established in the mid 1940s for the purpose of providing high-quality distance learning education. The university is considered a leading provider of online education, boasting an enrollment of 25,000 students. Students have the opportunity to attend courses on campus or to select a time-flexible online degree program instead. Grand Canyon seeks to prepare graduates to become ethically and socially aware leaders with a global perspective. The programs are taught by practitioner faculty who provide advanced knowledge which can be immediately applied within any field. Student success is a priority of the institution, which offers individualized attention and support. Grand Canyon University offers an online Bachelor of Science in Psychology as well as an online Bachelor of Science in Sociology. The sociology program provides students with an understanding of the impact of social structures on human behavior, and develops students’ skills in analytical and critical thinking. The 120-credit program includes up to 40 credits in general education courses, 44 credits in sociology courses, and up to 42 credits in elective courses. Courses include sociological theory, social inequality and stratification, social psychology of American minority peoples, social problems, and marriage and family. The psychology program provides perspectives of human actions and utilizes this understanding to evaluate similar behaviors in others. This program is intended to prepare students for a career in human service agencies providing assistance to individuals and groups in need. Also a 120-credit program, courses are concentrated in the various areas of psychology, counseling, and guidance. Founded in 1839, Boston University has a long history of promoting excellence among its students and programs. The school has awarded numerous Nobel and Pulitzer Prizes, seen milestones in the civil and women’s rights movements, and been ranked as one of the top 50 universities by U.S. News & World Report. Boston University is accredited by the New England Association of Schools and Colleges, Inc. and the Commission on Institution of Higher Education. It is a nonprofit, private research institution dedicated to academic excellence and social relevance. A faculty of scholars ignites and encourages students’ imaginations, leading to innovative ideas and engaging discussions. Boston University’s online programs promise the same dedication and world-class education a student would expect on campus. Designed and taught by distinguished faculty members, Boston University’s distance learning programs are available to students around the world. What Degree Is Needed to Become a Licensed Social Worker? Each state requires social workers who plan to practice independently to earn professional licensure, and the level of licensure you're eligible for depends on your level of education. At a minimum, you must have a bachelor's degree in social work (BSW) approved by the Council on Social Work Education (CSWE). Graduates with this online social work degree are qualified for entry-level positions, including jobs as a case management aid, juvenile court liaison, or community outreach worker. Some states and employers also require social workers to hold a master of social work (MSW) degree. The MSW prepares graduates for a wide variety of careers, including jobs as marriage and family therapists, mental health professionals, child welfare specialists, and licensed clinical social workers. As a result, many BSW graduates decide to continue their studies and enroll in online MSW programs, which allows them to secure management-level positions immediately after graduation. An online bachelor's degree in social work introduces students to the field, and provides training in support services, casework, intervention strategies, and social welfare policy. Widely recognized as the entry-level credential for social work practice, a BSW leads to employment in addiction counseling, aiding in juvenile residential facilities, and casework in social service agencies. In many states, graduates with a BSW degree accredited by the CSWE may obtain the Licensed Social Worker credential, although they cannot deliver clinical services directly to clients. For students seeking higher salaries and greater responsibilities in clinical practice, a BSW or related degree serves as a prerequisite for a master's in social work and clinical licensure. The most versatile of social work degrees, a MSW leads to a variety of positions in clinical settings, including medical, healthcare, and mental health. Graduates also find lucrative careers working in children and family service agencies, correctional and substance abuse facilities, school settings, and employee services. While all CSWE-accredited MSW degrees prepare graduates for the licensing exams, the type of license differs from state to state. Graduates of MSW programs may obtain the LMSW license but can only practice under the supervision of a qualified Licensed Clinical Social Worker (LCSW). However, all MSW degree holders planning to offer direct clinical services, such as psychotherapy and mental health counseling, or those working in private practice must obtain LCSW licensure and complete supervised hours in clinical practice. Students in an MSW may choose from several high-paying specializations. In addition to clinical social work, these include family, geriatric, public health, school, and substance abuse specialties. Depending on program requirements and number of courses taken, a master's degree in social work online takes two years or less to complete, not including clinical supervision hours. A doctorate degree in social work is the terminal degree in the field, preparing graduates for interesting and highly-paid career paths. Doctoral programs prepare their graduates to enter high-level administrative and policy positions, and to conduct and publish research that advances the discipline. As the practice of social work expands, the CSWE looks for doctorally qualified faculty to teach the next generation of social work professionals. Students may elect to pursue a DSW, doctor of social work, or a Ph.D. The DSW, sometimes referred to as an advanced practice doctorate, teaches applications of techniques social work practitioners use in clinical settings. A Ph.D. program, while overlapping in content with a DSW, focuses primarily on academic scholarship, knowledge building, and policy analysis in social work and social welfare. It strives to prepare faculty for research and teaching positions in higher education. Offered in online and traditional campus-based formats, both degrees require at least five years of study, including a dissertation or some other form of independent inquiry. When evaluating your options, you should keep in mind that licensing and certification requirements vary by state. Some graduates obtain a social work license in the state where they earned their degree, while others choose to go elsewhere. This is an important choice because you will only be able to practice where you have your license. Be sure to check with your state's licensing agency to find out the requirements, which typically include supervised work experience or continuing education. Below you'll find a quick overview of licenses you can pursue after earning your social work degree online. An LBSW requires a bachelor's degree in social work and a passing grade on the bachelor's exam conducted by the Association of Social Work Board (ASWB). In many states, social workers obtain this license as soon as they graduate from a BSW program without completing supervised work experience. The LBSW license prepares social workers for entry-level positions but they cannot provide direct clinical services. Graduates of a CSWE-accredited MSW program may obtain this mid-level license after finishing their degree and successfully completing the ASWB master's level exam. Some states also require supervised work experience under a board-approved supervisor as well. This requirement, which varies by state, typically requires a few thousand hours of supervised practice. Clinical social workers providing direct services to clients including assessment, diagnosis, treatments, and interventions, must hold an LCSW license. The LCSW requires an MSW from a CSWE-accredited program, a passing grade on the ASWB exam, and at least two years of supervised clinical experience. Some state boards of social work examiners may require additional exams or coursework. In many states, the LMSW represents the highest level of licensure for social workers providing nonclinical services. This license requires an accredited MSW and a passing grade on the ASWB exam. Most states do not require supervised work experience. MSW graduates interested in clinical social work sometimes obtain an LMSW before taking a position where they can prepare for the next level of clinical licensing. The highest level of licensing available in many states, the LAPSW has several requirements. In addition to an accredited master's or doctorate in social work, applicants must pass the ASWB Advanced Generalist or Clinical Level Exam, a criminal background check, and provide verification of 3,000 hours of supervised clinical experience, including 100 hours of face-to-face supervision. Depending on the state, experienced social workers who do not provide clinical services may obtain the LMSW-AG. Most states that offer the LMSW-AG require two years of supervised nonclinical experience in addition to completing all the requirements for the LMSW, which includes an accredited MSW, a passing grade on the ASWB Advanced Generalist Exam, and completion of any additional state regulations. Social workers must renew their licenses periodically, typically every 2-3 years. Requirements for renewal vary widely from state to state, but most state licensing boards require completion of approved continuing education hours and payment of a renewal fee. Illinois' requirements provide an example of typical renewal procedures. Social workers practicing in Illinois must renew their license every two years, submit an application and pay an annual $30 fee. Additionally, they must complete 30 hours of continuing education units (CEUs). These CEUs must include a minimum of three hours of coursework in ethics and another three in cultural competency. At least half of the total CEUs must be obtained through in-person instruction or experiences. Live virtual workshops do not qualify. Illinois social workers must obtain their CEUs from a licensed state provider, or through courses offered by the National Association of Social Workers (NASW) or the ASWB. In response to changes in the field of social work, social workers increasingly pursue voluntary certifications beyond their degrees and state requirements for licensure. Social workers seeking enhanced professional recognition, in addition to career and salary advancement may obtain professional certifications in areas such as case management, school social work, gerontology, healthcare, hospice and palliative care, and addictions. Certifications recognize the work experience and dedication of social workers practicing in these fields, and validates their specialized knowledge and training. Employers seek out social workers with these specialized credentials to fill key leadership positions, and often offer salary boosts for certificate holders. Administered by the Commission for Case Manager Certification in collaboration with NASW, the C-SWCM recognizes BSW-trained case managers with three years, or 4,500 hours, of supervised professional experience in an agency providing case management services. Requirements include an a CSWE-accredited BSW degree, a current BSW-level license, and a passing score on the ASWB bachelor's level exam. A QCSW certification establishes national standards for clinical social work practice. Clinical social workers seeking this credential must hold a CSWE-accredited MSW and a current clinical social work license. They must also complete 30 hours of continuing education and provide documentation of at least three years, or 4,500 hours, of supervised post-MSW clinical experience in an agency or organization providing mental health assessment and treatment. The C-SSWS certification recognizes school social workers with knowledge in ethics, program development and management, characteristics of student populations, and federal and state laws affecting education. Eligibility requires an accredited MSW, a least two years, or 2,160 hours, of post-degree experience, and a current master's level social work license, or a current exam-based school social work credential issued by a state office. This certification recognizes social workers employed in healthcare facilities providing high quality services to patients and families. The C-SWHC must be a graduate of an accredited MSW program and hold a master's level license. They must document at least two years, or 3,000 hours, of supervised post-MSW employment in an agency or healthcare organization. Graduates of accredited BSW programs with a current bachelor's level license, or one year of experience and 10 contact hours of continuing education, may apply for the SW-G certification. Additional requirements include a minimum of three years, or 4,500 hours, of experience working with older adults under supervision, and 20 contact hours of continuing education or transcripts providing proof of a gerontology concentration. Academic accreditation is important for any program, but this is especially true for an online social work degree. First, regionally accredited programs are guaranteed to meet standards for quality and credibility. For example, an accredited master's curriculum will cover core social work competencies and include a requirement of at least 900 hours of field experience. More importantly, only accredited online MSW programs will meet state licensure requirements. Earning a degree from an unaccredited program will limit your eligibility for advanced placement opportunities. Many programs hold at least two types of accreditation: one from a regional accrediting agency and the other from the CSWE, the only accrediting body for social work in the United States. The CSWE provides programmatic accreditation, which guarantees that graduates are adequately prepared to become professionals in the field. Determining whether a school has achieved accreditation can be confusing, as some are more transparent than others. Thankfully, the CSWE offers a helpful directory of all accredited online social work degrees on its website. In human services, few degrees open as many doors as a degree in social work. Earning an online social work degree will prepare you for a variety of careers, including in other disciplines like administration, clinical practice, and nonprofit and government advocacy. An online social work degree is also the perfect choice for those who want to become therapists in any field, or who want to manage social responsibility or community engagement programs in corporate settings. Below are a few examples of some of the most common roles pursued by graduates with an online social work degree. Social workers assess and treat clients with emotional and social issues. They provide advocacy and resources for their clients, families, and caregivers. Duties include case management, documentation, and referrals. Social workers typically hold an MSW degree and state licensing to practice, although graduates with a bachelor's degree and a bachelor-level license may find entry-level positions providing nonclinical services. Psychologists conduct psychological exams, diagnostic interviews ,and individual and group psychotherapy. They respond to crises with appropriate interventions and recommend treatment plans. Responsibilities vary by emphasis and educational level. Most psychologists hold a master's or doctorate degree. Social workers with at least an MSW and clinical social work licensure may find employment as psychologists. Clinical directors work in agencies and healthcare facilities developing and managing the delivery of patient care services. They oversee budgets, evaluate employee performance, and maintain medical records and related documentation. Social workers with an MSW and a master's-level license who have completed healthcare certification or concentration may pursue this career path. Some employers require a clinical social work license. Clinical program managers work in healthcare and related facilities supervising staff, administering procedures, and assisting with client issues. In medical research and development programs these managers may direct clinical trials. Responsibilities vary by employer, but some provide direct clinical services to clients. Organizations requiring managers with clinical experience may hire social workers with an MSW, clinical licensure, and specialized experience. There are many types of financial aid available to cover the cost of an online degree in social work. The first step is filling out a Free Application for Federal Student Aid (FAFSA), which will qualify you for financial aid from the federal government. The most popular option is to take out federal student loans, which offer deferred interest and payments while you are earning your degree. There are also no-cost grants or scholarships, which are awarded for commitment to special projects or based on academic merits or financial need. Finally, you can explore resources such as employer tuition assistance (if you currently work full time), private aid from religious or service organizations, campus employment, and federal work-study or graduate assistantships. Veterans are also eligible for funding under the Yellow Ribbon Program. Repayment costs on student loans can add up quickly. In fact, the average cost of online MSW programs is over $20,000. This is where loan forgiveness programs come in. Depending on your eligibility, you may want to consider a few options for reducing your debt. The National Health Service Corps Loan Repayment Program offers up to $50,000 in exchange for two years of service in a high-need Health Professional Shortage Area. There's also the federal Public Service Loan Forgiveness Program, which forgives the remaining balance on your loan after you've made 120 monthly payments while in full-time employment. Students interested in an online social work degree should research the availability of scholarships and grants. Unlike loans, students receive these awards free and clear. Scholarships comes from a variety of funding sources, often supporting students from a particular region or targeted group. Some provide funds for students in a particular specialization such as mental health, developmental disabilities, and children and family services. Who Can Apply: The ASHA awards scholarships to undergraduate and graduate students committed to working in a school health profession. School health professionals and students enrolled in a college-level program in school health fields may also apply. Recipients must be members of the ASHA and use the funding to attend the organization's annual conference. Who Can Apply: These need-based scholarships support undergraduate and graduate students who have a strong commitment to social and economic justice. Applicants must submit two letters of recommendation from individuals who can address their participation in progressive movements. Additionally applicants must include a personal statement documenting involvement in progressive activities, and describing how their intended field of study benefits social change. Who Can Apply: NAJA awards scholarships to students accepted into graduate programs that address the needs of children and youth through social work, counseling, psychology, and mental health. Applicants must be U.S. citizens or permanent residents living in a state with a Junior Auxiliary chapter: Alabama, Arkansas, Florida, Kentucky, Louisiana, Mississippi, Missouri, or Tennessee. Who Can Apply: This scholarship supports students entering graduate programs in mental health, development disabilities, and related fields. Applicants must have a minimum undergraduate GPA of 3.25 from a church-affiliated college, provide evidence of financial need, and document their active membership in a Mennonite, Brethren in Christ, or Mennonite Brethren congregation. To determine the best online social work programs, we looked at the most important factors prospective students, mainly common predictors of future success and a school's commitment to online programs. This boils down to admissions rate, student loan default rate, retention rate, graduation rate, and the percent of students enrolled in online classes. All data points are taken from information provided by colleges and universities to the National Center for Education Statistics. Each factor is weighted evenly in order to give an objective view and determine the 10 best online social work programs. To calculate our rankings, we looked at a school's ranking when organized by a single factor, and then averaged each category's ranking to find an overall score: Admissions Rate (20%) + Default Rate (20%) + Retention Rate (20%) + Graduation Rate (20%) + Percent of Students Enrolled in Online Classes (20%) = Final score.